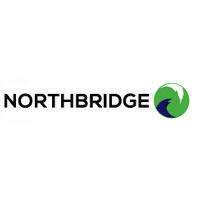 Equity Development have release the following note on Northbridge Industrial Services (LON: NBI). You can download the full note at bottom of the page. The share price of Northbridge declined sharply during Q4 2018, reflecting the fall in the price of oil and a belief that any recovery in rig count is likely to be delayed. Although the Group’s dependence on the oil & gas industry has lessened in recent years, a recovery to normality in the industry is important to Northbridge. Management strategy has, meanwhile, targeted additional growth areas, not least the fast-growing data centre and renewable energy sectors. That said, even at the current oil price, we still expect rig count to continue to expand during FY2019F and beyond. We expect the recovery in revenues, coupled with the sharp reduction in the cost base, to return the Group to profitability during H2 2019F. Our valuation methodology suggests the market capitalisation undervalues the business by approximately 49%, with further upside likely as new M&A activity occurs and attention on a re-instated dividend builds. Return to profits and dividends on the cards? Following a period in which Northbridge removed significant cost from the Group, while maintaining its geographical presence, we expect the rising top-line to result in strong operational leverage in the Group’s bottom-line. We expect the Group to move to a break-even position in FY2019 with the potential for a return to paying dividends in FY2020. Organic growth Rental sales, across both divisions, continues to be the primary means of growing the top-line, evident in the progress in gross margins. As such, the Group maintained the number of outlets throughout more difficult markets and, more recently, opened a rental operation in the US. Investment in fleet and service levels is building, in general reflecting new contract wins. The recent joint venture (Olio Tasman) continues to make progress, widening the Group’s footprint in SE Asia. Management remains interested in further joint ventures. Acquisition vehicle Northbridge was formed as an acquisition vehicle within industrial services markets and as such, we do not expect November 2018’s purchase of PPC to be the last, particularly in view of the strong balance sheet and improving cash flow. PPC both increases the scale of the downhole fleet and widens the Group’s customer base within SE Asia. Strong cash flow Cash flow has remained positive in recent years, notwithstanding the move into losses. We anticipate cash generation to build as the Group moves to a profit in H2 of the current year, resulting in a further strengthening of the balance sheet, investment in the rental fleet and further M&A activity. The strong cash flow should allow the Group to re-commence dividend payments during the FY2020F year. Good value We think that the shares are lowly rated in comparison to our DCF analysis and considering its net asset value / share (128p). Our valuation calculation suggests a fair share price value of 173p, representing a significant premium to the existing share price. Click NBI for the full archive.